I enjoy watching Youtube.com videos about health, mainly how to eat the correct foods and to keep my body in optimum condition. However, after years of watching, reading, and trying to understand nutrition, and doing my best to understand a long list of words, I find I need to remember the two quotes above. 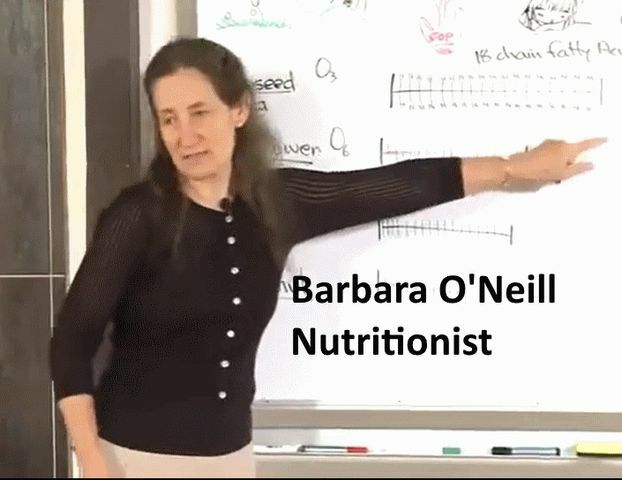 I have decided that I trust Barbara O'Neill, and will do my best to follow her advice. In a world where everyone believes they are an expert, I believe she is an expert. 2. Citing books, and research. 4. She does not create a common enemy. She does not bind us to her by making corporations, or medical people the enemy. I sincerely believe in finding a mentor, someone I accept as being wiser, more savvy, with better understanding than I do. This is the person I will follow. It is a fool that believes they can know more than the person who has years of experience in their particular field of study.